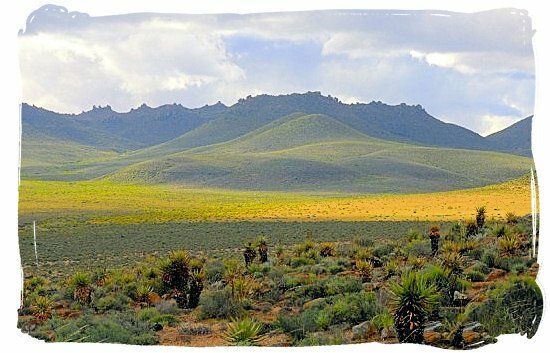 Tankwa Karoo National Park, place of solitude and silence reaching deep into the soul, place of the brightest stars in South Africa, place of rare endemic birds and plant species, place of such great beauty that it will take your breath a way. Truly a spectacular Park, named after the Tankwa river that flows through it. 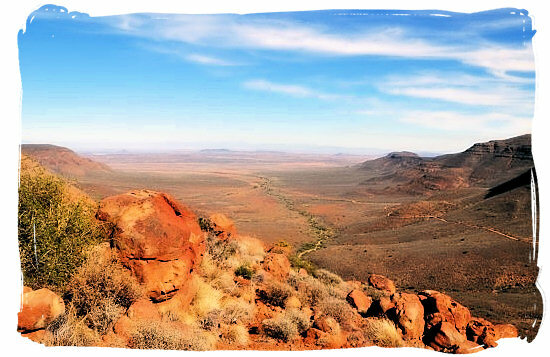 The 137,000 ha Tankwa Karoo national Park is situated in one of the most arid regions of South Africa, less than a 4 hours drive (about 270km) away from Cape Town on the R355 National road, about midway between Ceres and Calvinia and on the southern boundary of the Northern Cape Province. 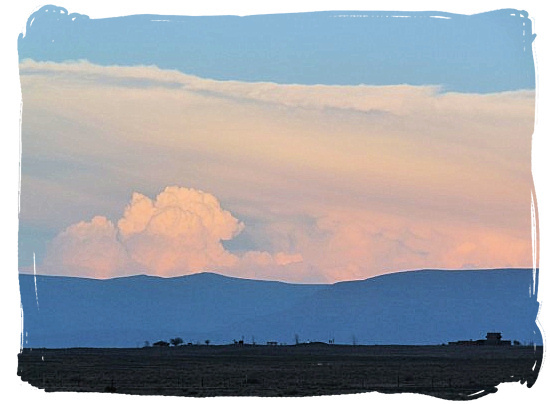 Some of the Park’s extraordinary geographical features are the scattered foothills of the Koedoesberge and Klein Roggeveld Mountains in the south, the Kouebokkeveld mountains in the north, the Roggeveld mountains in the east and the Cederberg mountains in the west. Not to forget the Tankwa river that flows through the southern part of the Park. Lying within the unique Succulent Karoo Biome, the Tankwa National Park is relatively new, as it was declared a national park in 1986. The main purpose of the Park is the protection of the unique vegetation in the region. Starting with 26,000 hectares, the park has expanded to its current size of 111,000 hectares. 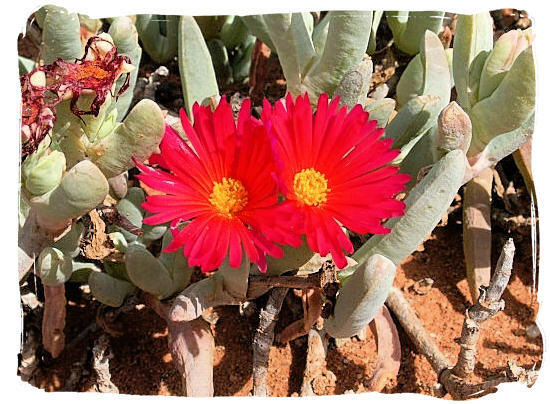 Belonging to the 25 richest and most endangered regions of flora and fauna on the planet, the Succulent Karoo Biome is the only arid region identified as a biodiversity hotspot by Conservation International. Quite surprising when one thinks of the karoo as a hot and shimmering wasteland, to pass through as fast as possible en route to Johannesburg or Cape Town. 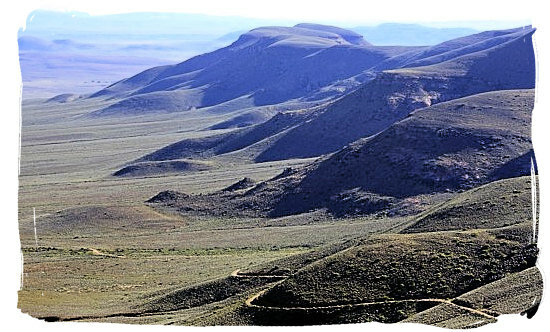 Called the world’s richest succulent flora accumulation in the world, the vegetation in the Succulent Karoo can be described as dwarf shrub land dominated by leaf succulents a unique type of vegetation among the world’s deserts. Close to one-third of a total of 615 plant species are endemic to the region. After a period of research to study the use of and the effect on the vegetation in the park by herbivorous animals and to ensure the survival of plants and animals, a variety of antelope that used to occur naturally in the area, were reintroduced in the park. 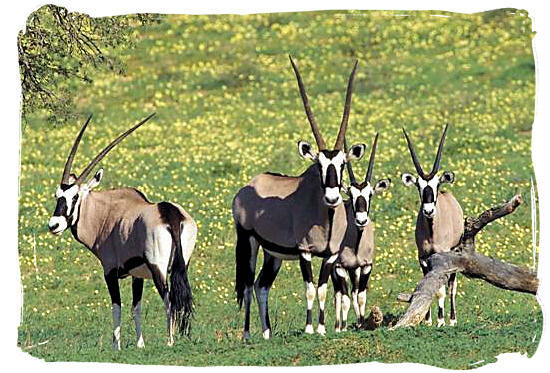 The total number of game reintroduced up to 2009, comprises 19 Cape Mountain Zebra, 213 Gemsbok, 104 Red Hartebeest and 250 Springbok. The Park also houses a considerable number of Aardvark (earth pig) and Porcupine together with Caracal, Suricate, Cape and Bat-eared Foxes and Black-Backed Jackal among others. For the Birding enthusiasts, the Park abounds with a large variety of exciting bird species, with at least 18 species that are endemic to the region. During Springtime from August to September after the first good rains have fallen, the Park will usually burst in to a flower spectacle. This is the best time to go birding in the Park. Yet, the majority of the special species are to be found all year round. The most common birds of prey in the area are the Pale Chanting Goshawk, the Black Eagle, the Rock Kestrel and the Black Shouldered Kite. For the hardened birder there is a good chance of spotting the astonishing Burchell’s Courser, a small bird that prefers the semi-desert open country where it hunts its insect prey by running on the ground. Other prominent species in the Park are the Tractrac Chat, very adept to the dry gravel-plains, the Rufous-eared Warbler, a beautifully marked and vociferous endemic of south Africa’s arid regions, and the Spike-heeled Larks, together with the Thick-billed, Karoo and Red-capped Larks among many others. The Karoo Lark is relatively easy to spot in the Spring, when its rattling can be heard everywhere. 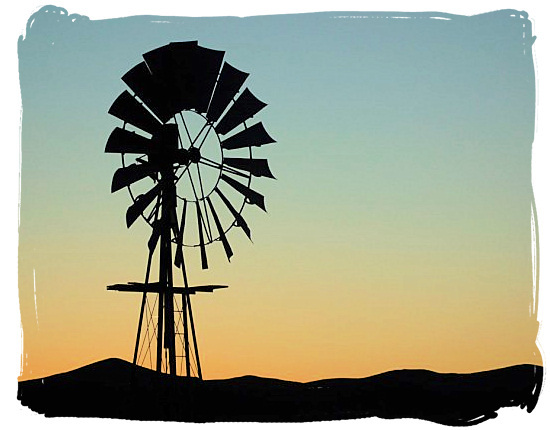 The accommodation in the Tankwa Karoo National Park is very comfortable and comprises cottages, a guest house, old farm houses and camping facilities. The Paulshoek farmstead, restored in 2003, is quaintly furnished with antique furniture and able to accommodate up to six guests. The cottage is situated approximately 5km from the park offices at Roodewerf and has beautiful views of the imposing Roggeveld Escarpment and plains between. Fully equipped with linen, towels, cutlery, crockery cooking utensils etc. 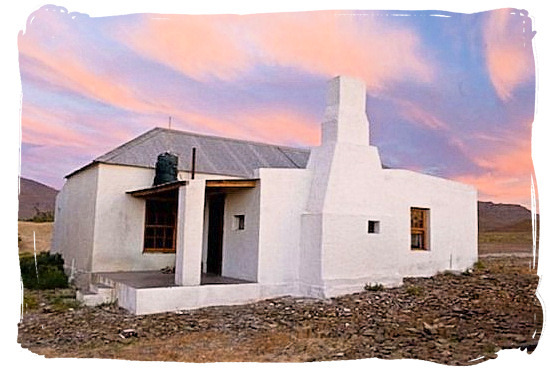 The Varschfontein Cottage, also an old farmhouse, was renovated in 2005 and is able to accommodate up to nine guests. The cottage is situated 45km from the park offices at Roodewerf within the dry westerly section of Tankwa National Park. The desolate beauty of the area is truly breathtaking and the cottage is the ideal getaway for those seeking a reprieve from the human masses. DeZyfer Cottage is an old farmstead dating back from the early 1900's. It was lovingly renovated just before Easter 2009. The cottage, with its welcoming stoep and hearth, is a must for the nostalgic heart. Birding enthusiasts will also enjoy the many little visitors to the earth dam nearby. The Tanqua Guest House is very conveniently situated on the southern boundary of the Tankwa National Park and a stone’s throw from the Oudebaaskraal Dam. 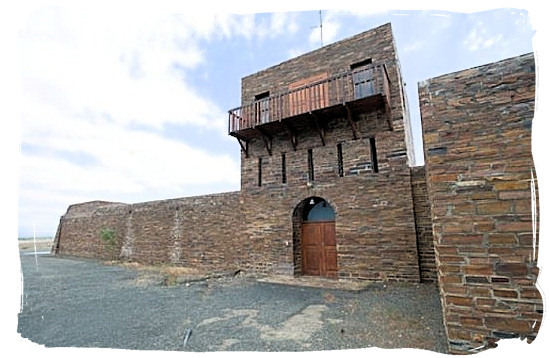 Built somewhat like a desert fort, the Tanqua Guest House was formerly owned by Esther and Alewyn Burger and later incorporated into the Tankwa National Park in 2007. The guest house offers a range of accommodation and has played host to weddings, teambuilding exercises as well as film and commercial shoots. Also situated next to the main building is a 900m landing strip, allowing fly-ins by guests. Fully equipped with linen, cutlery, crockery, etc. Only self-catering accommodation available at present. However, catering can be provided if an advanced request is made. 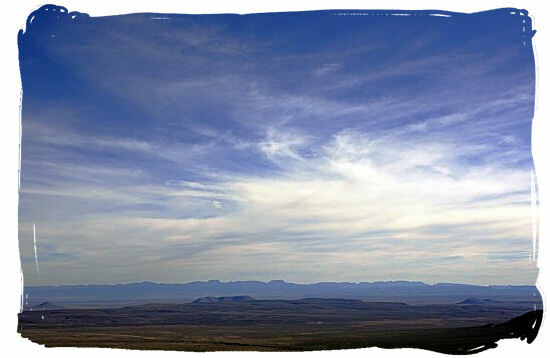 The development of the Elandsberg Wilderness Camp was initiated in September 2006 and completed by April 2008. The five cottages are situated 18km from the park offices at Roodewerf in the hills known as Elandsberg. 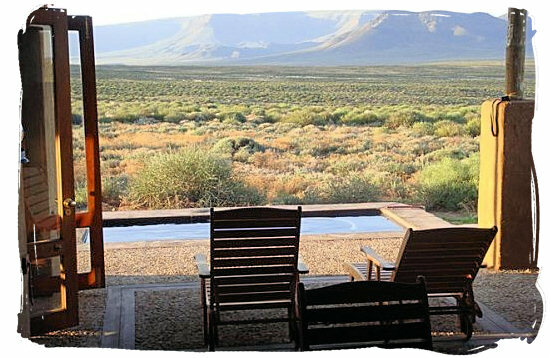 Each cottage boasts beautiful views of the Karoo plains and imposing Roggeveld Escarpment. Fully equipped with linen, towels, cutlery, crockery, cooking utensils etc. No formal facilities for camping are currently available in Tankwa National Park. However, fully self-sufficient campers are allowed to camp at designated spots on an "only leave your footprints"- basis. Accommodation rate and tariff details of the Tankwa National Park. 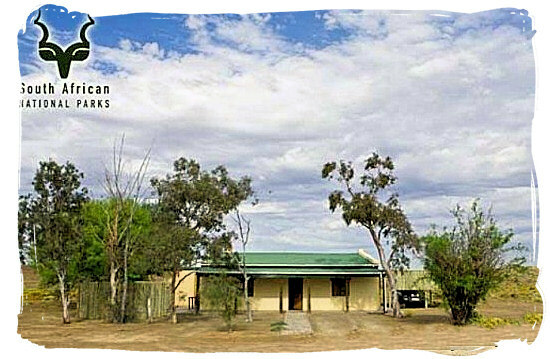 Accommodation availability details of the Tankwa National Park. book your reservation for the Tankwa National Park. The world’s richest succulent flora accumulation in the world, endless semi-desert landscapes bursting into a fantastic flower spectacle after the first springtime rains, spectacular panoramas from the cliffs of the Roggeveld escarpment, stunning star-gazing nights, Awesome blue skies and overwhelming silences, make the Tankwa Park one of those magnificent destinations in South Africa that nobody wants to miss. If you are after deafening silences and empty skies, stunning views and complete solitude, then there is plenty to do in Tankwa. The people are few and the space is plenty on the immense semi-desert plains of the Tankwa Karoo, so much so, that you will feel as if it is engulfing you. 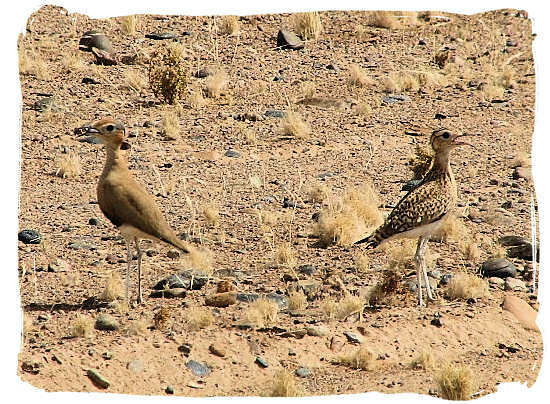 For the more active ones, the park offers its visitors a wide range of animals to be spotted, great Karoo birding opportunities and a unique and rare range of succulent plants to be discovered. And all this amidst awesome landscapes. 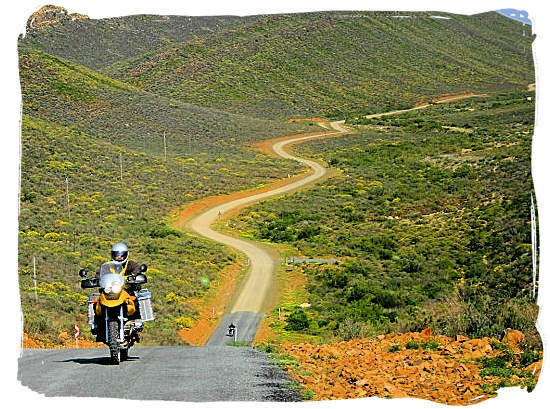 They can also explore the precipitous Ouberg Pass, a hair-raising climb up 600 meters of Roggeveld escarpment, or travel the Gannaga Pass 1600 metres high, where they can enjoy breathtaking views of the Tankwa karoo. And while they are at it, they have a good chance of seeing Black Eagles soaring through the sky, while the more adventurous can tackle the rock faces to get closer sights of the nestlings in their nest. The Park is home to a dense population of Black Eagle breeding pairs. For those who visit the Tankwa Karoo National Park for the first time, the often extreme climate conditions in terms of temperature and aridness in the region, will be an extraordinary experience on its own. The mean July (wintertime) minimum temperature is 5°C-7°C (lowest measured 0°C). The mean January (summertime) maximum temperature is 38.9°C (highest measured 46°C). The highest average maximum temperatures occur from November to March, with the hottest months being January and February. The highest wind speeds occur from October to March. Before getting to the interactive map, have a look at the map below showing South Africa with the locations of all its National Parks. 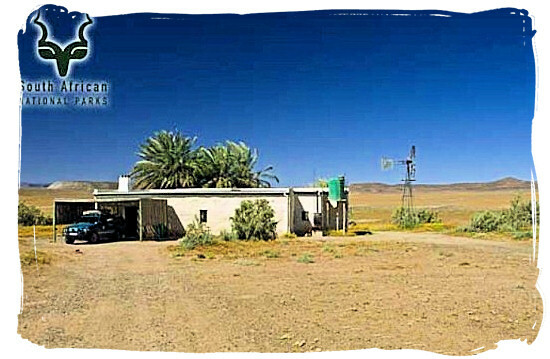 Number 10 is the location of the Tankwa Karoo National Nark. If you zoom in to maximum, you will see a close up aerial view of the Park. For the tourist wanting to travel by air via the normal national and international airports, the nearest option is Cape Town International Airport. From there one has to travel by road. The only alternative is to charter a plane and fly to the town of Sutherland, where one can hire a car and drive the remaining 86 km to the Park. Take the R355 from Cape Town. About midway between the towns of Ceres and Calvinia you turn right from the R355 just past the town of tweefontein onto a road leading into the Park, 255 km away from CapeTown. 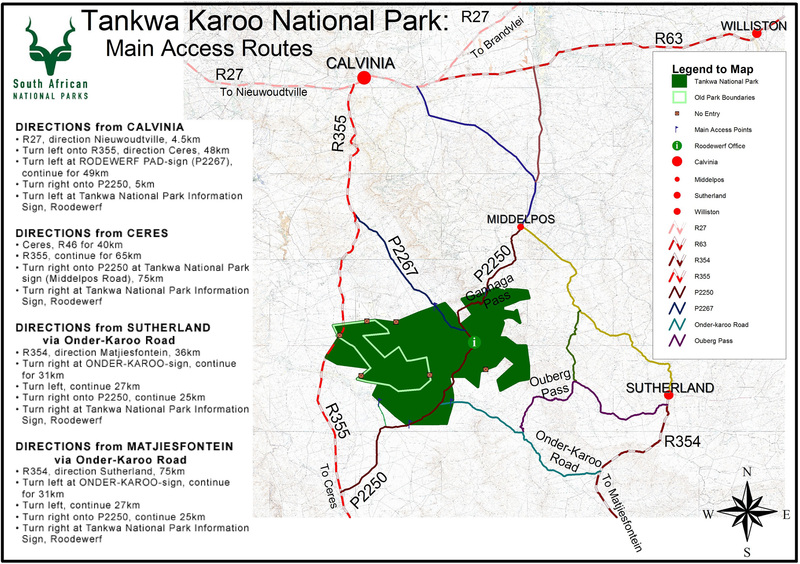 Check out this map showing the main access routes from Calvinia, Ceres, Sutherland and matjiesfontein. First of all, you will need a car (your own or a hired one ), because there is no alternative inside the park or its vicinity, nor are there any organized game drives. The condition of the gravel roads the roads in the Park are good, unless there have been floods. In general they are suitable for two-wheel drive vehicles, but do not throw caution to the wind. These roads are hard on tyres, so make sure that your spare tyre is in fine condition and that you know how to change it. Also check the ground clearance of your vehicle, it should not be too low. It would be a good idea to check the conditions of the roads with the Park’s office when you make a booking and again just prior to your visit. Furthermore, there are no shops, restaurant, petrol stations, public phones or ATMs insidethe Park or in the near vicinity of the Park. Last stops where you can get the necessary supplies are Calvinia (105km), Ceres (180km), Clanwilliam (80km), Sutherland (86km) and Middelpos (52km). Shops are usually closed from Saturdays 13:00 for the weekend. Slow down when you see approaching traffic. Be aware of slippery conditions during wet weather. Be aware of flash floods crossing roads as well as road surface possibly washed way. If you need to overtake, avoid loose gravel at the side of the road. Take along enough drinking water, especially during hot conditions. Check pressure of spare wheel and ensure tyres are at the correct pressure. Drastically reduce speed when transferring from tar to gravel and when approaching a motor grid. Drive in the existing tracks on the road. Keep to the left when approaching a blind hill. Put your lights on in the dust of passing traffic.